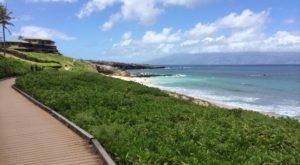 From tiny coves to beaches that stretch on for miles, there are hundreds of beaches across the eight main Hawaiian Islands, many of which are perfect for a leisurely stroll. While there’s little better than a walk along the beach, sometimes you want to change up the scenery and take a walk along a magical river instead. 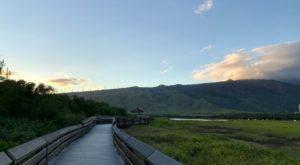 While Hawaii isn’t technically home to any proper river walks, there is a canal walk on Oahu that is just as magical. 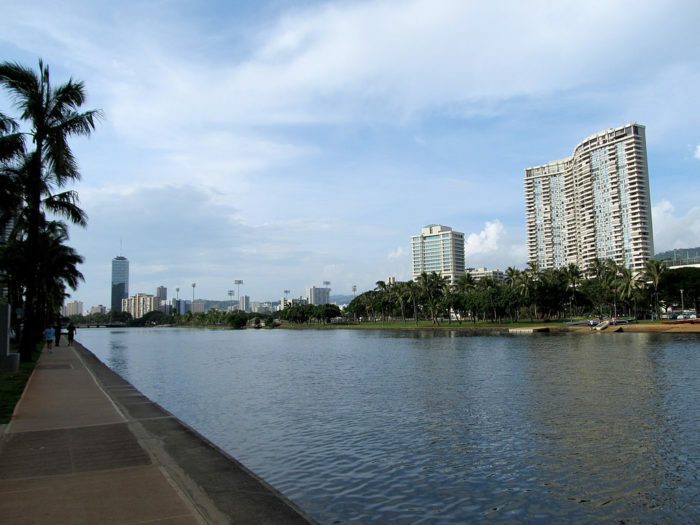 Many people overlook the Ala Wai Canal Walk, those in the know (like you!) 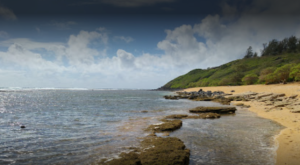 recognize it as one of the best places in Hawaii for a relaxing stroll along the water. 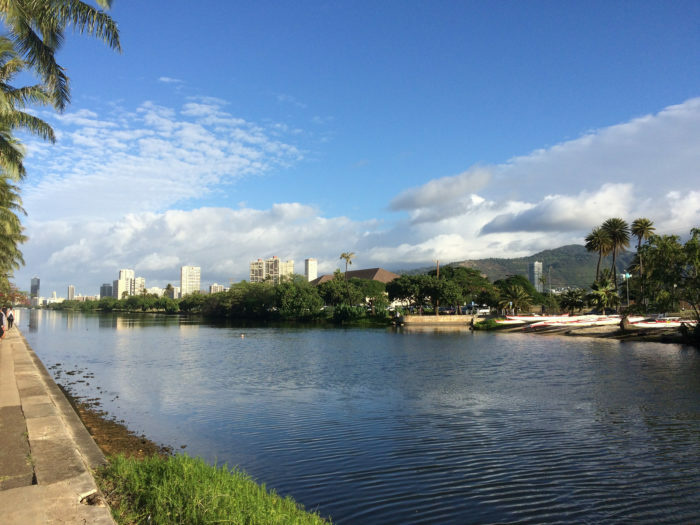 The Ala Wai Canal, which serves as the northern boundary of the tourist district of Waikiki, may be an artificial waterway, but that doesn’t mean it can’t be magical. 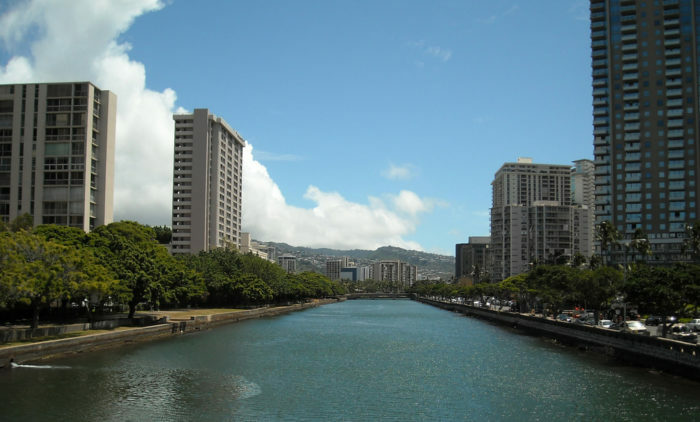 Created in 1928 in an attempt to drain the rice paddies and swamps that would eventually become Waikiki, the Ala Wai Canal also serves as the main drainage corridor for the streams and rivers that run through central and east Honolulu. 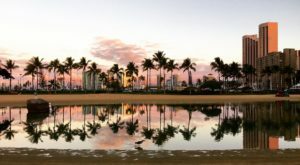 In modern times, the canal drains up to 150 inches of rainwater annually that seeps down from the mountains above Waikiki and empties it into the Pacific Ocean at the Ala Wai Boat Harbor. 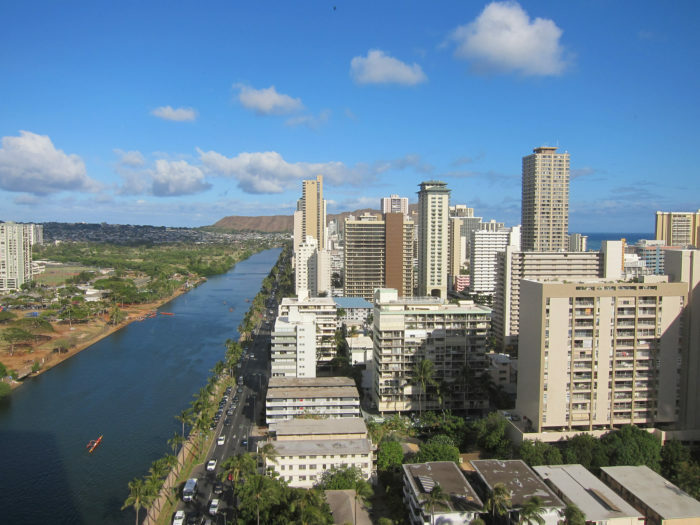 Meandering along the length of Waikiki from just northwest of Kapahulu Avenue before turning southwest to enter the Pacific Ocean, the Ala Wai Canal is often overlooked for the nearby beaches of Waikiki. 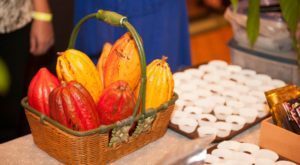 But if relaxation is what you seek in the crowded tourist hub that is Waikiki, you might just find it while walking along the Ala Wai Canal. 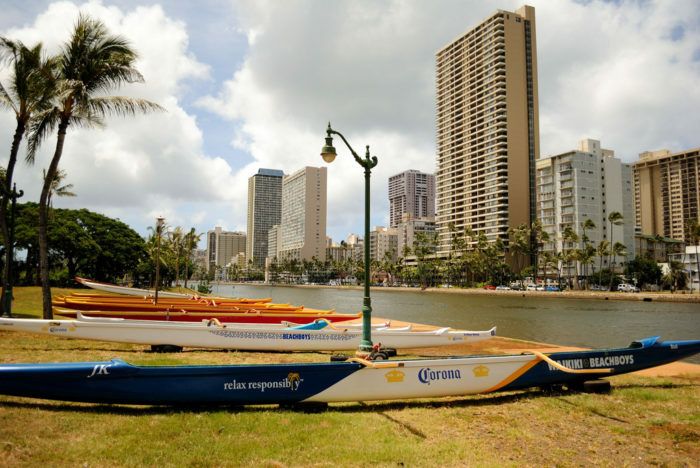 The 1.5-mile waterway features incredible, panoramic views of Waikiki, Honolulu, the Ko’olau Mountains, and the Pacific Ocean. 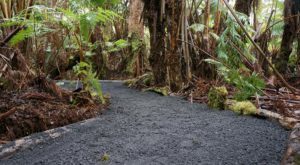 You will also find a long, well-lit walkway that runs parallel to the ocean and is most commonly used for walking and jogging. Though the water is murky, kayaking and canoeing are popular in this tropical tidal estuary. 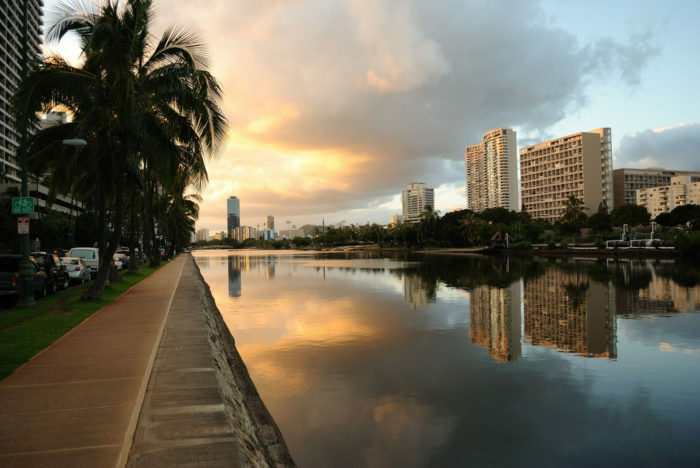 A serene beauty meets the bustle of Waikiki along the Ala Wai Canal, and we promise that if you can tear yourself away from the shores of Waikiki Beach for an hour or two, the experience you’ll have along this canal walk will surely be memorable. 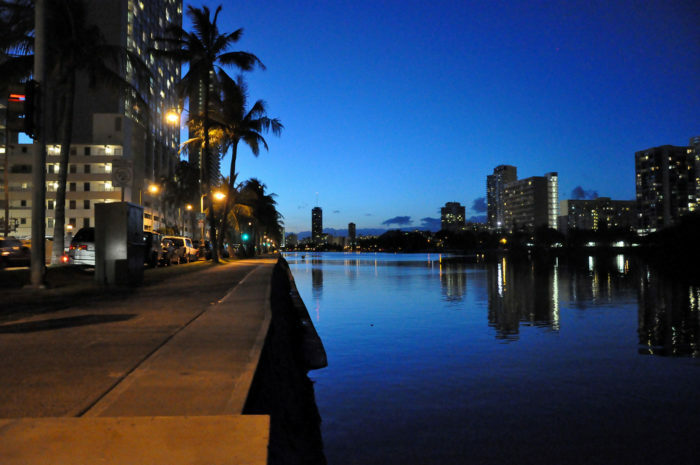 Have you ever strolled along the Ala Wai Canal? 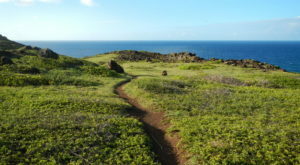 What is your favorite destination for a nice, leisurely walk surrounded by Hawaii scenery? Share in the comments below! 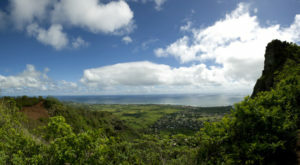 Don’t forget to check out these X easy hiking trails if you want a little more adventure in your life!